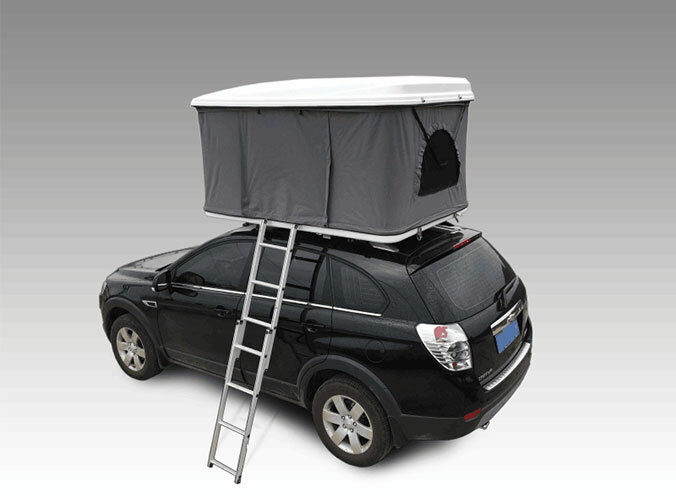 There are many roof top tents in market, do you know the fabrics of them? Here I will introduce some about them. Cotton - 100% cotton fibers are fully breathable, extremely durable and abrasion resistant. As the thickness of the cotton increases, the breathability decreases and with added thickness comes added weight. Cotton absorbs moisture, and any natural water resistance is a result of swelling and tightening of the material weave. Polyester - 100% polyester fibers are light, strong and tend not to stretch. A tent made from polyester has a natural water resistance, is quick to dry, and is tear resistant due to its elasticity. Polyester does not, however, breathe, and it is not very abrasion resistant. Poly-Cotton - These blends combine the strengths of both cotton and polyester fibers and tend to be breathable, tear-resistant, and abrasion resistant. Rip-Stop Nylon - Most rip-stop nylon fabrics are poly cotton blends with nylon threads in crosshatch patterns used to reinforce the material against tearing. The fabric exhibits the same qualities as poly-cotton with additional strength to resist tearing. Proprietary Fabric - Autohome produces its own proprietary fabrics that are acrylic-cotton blends. Acrylic is a good choice to blend with cotton because it is resistant to oils, chemicals, and to deterioration from UV. It produces a soft fabric with the feel of cotton and it does not absorb moisture. Nylon - This has the strength, flexibility, ease of drying, water resistance, and abrasion resistance that we are looking for in a fabric. It can also be woven to produce a breathable fabric and treated for UV resistant. Unfortunately we haven’t seen any of these qualities in nylon fabric used on roof top tents. 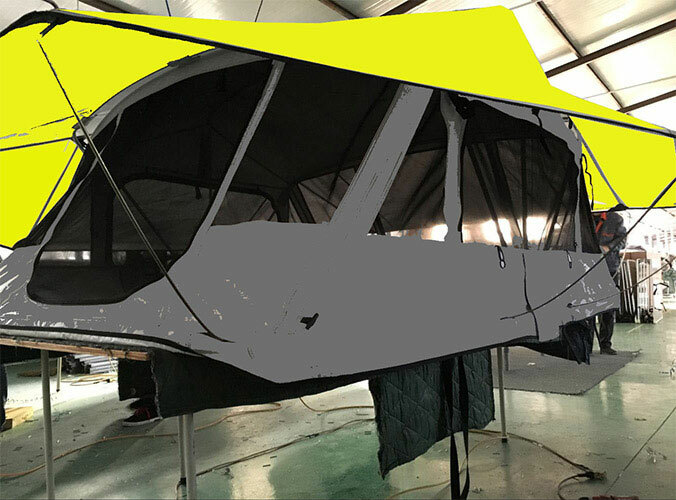 The breathability seems to be compromised by a thin film of silicon to enhance waterproofing, and the roof top tent fabric looses its integrity around the 5-year mark due to exposure to UV.